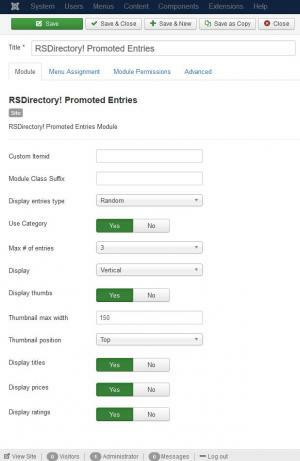 This module, as the name says, can be used in order to display the promoted entries in your website. In order to install the module you will have to login into your admin panel and head to Extensions > Manage > Install tab > Browse for the module archive you have downloaded from our website and hit the "Upload & Install" button. 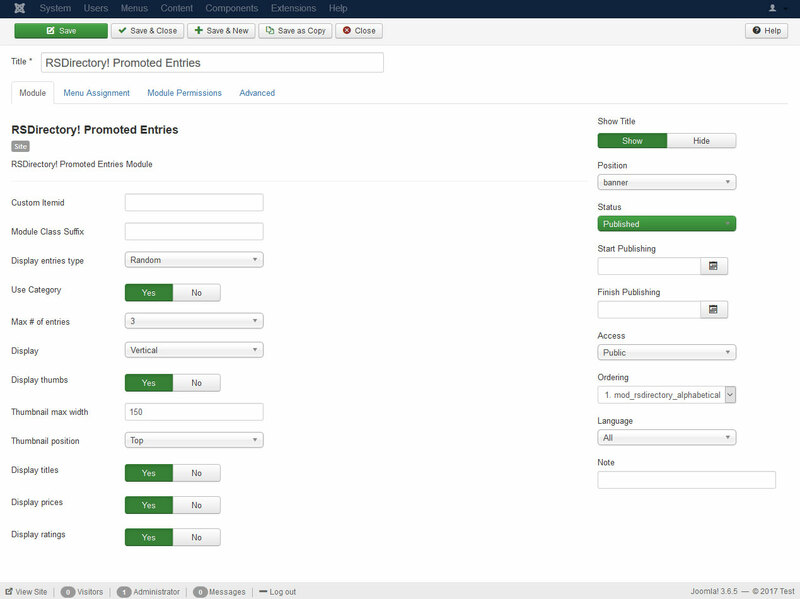 Custom Itemid: You can use the List Entries menu item's ID in order for the module to inherit the menu item's custom settings. Module Class Suffix: A suffix to be applied to the CSS class of the module. Use Category: When the user is viewing a listing page, it takes in consideration the category which is displayed. Max # of entries: The maximum number of entries. Display: Display the entries horizontally or vertically. Thumbnail max width: The width for the thumbnails. Display titles: Display the entry's title.